William B. Eerdmans Publishing. PAPERBACK. 0802870104 Item in acceptable condition! Textbooks may not include supplemental items i.e. CDs, access codes etc... . Fair. William B. Eerdmans Publishing, 1977. Paperback. Good. Disclaimer:A copy that has been read, but remains in clean condition. All pages are intact, and the cover is intact. The spine may show signs of wear. Pages can include limited notes and highlighting, and the copy can include previous owner inscriptions. At ThriftBooks, our motto is: Read More, Spend Less.Dust jacket quality is not guaranteed. William B. Eerdmans Publishing, 1977. Paperback. Acceptable. Disclaimer:A readable copy. All pages are intact, and the cover is intact. Pages can include considerable notes-in pen or highlighter-but the notes cannot obscure the text. At ThriftBooks, our motto is: Read More, Spend Less.Dust jacket quality is not guaranteed. William B. Eerdmans Publishing. PAPERBACK. 0802870104 Ships quickly. Mild to moderate shelf/reading wear. Orphans Treasure Box sells books to raise money for orphans and vulnerable kids. . Good. William B. Eerdmans Publishing. Very Good. 1977. trade paperback. 0802870104 . 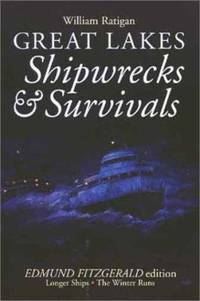 Edmund Fitzgerald edition ; 1.2 x 8.9 x 6 Inches; 384 pages . Wm. B. Eerdmans Publishing Company, June 1960. Trade Paperback. Used - Good. Wm B.Eerdman's Publishing Co, 1986. GOOD. 1986 SC. Reprint. This is the Edmund Fitzgerald edition. ""Longer Ships - The Winter Runs"" Very light wear to wraps. Clean. Small gift inscription (ink). Clean text. Grand Rapids, MI: William B. Eerdmans Publishing Company, 1983. Reprint . Soft cover. Very Good. 8vo - over 7¾ - 9¾" tall. Reynold H. Weidenaar. STR. 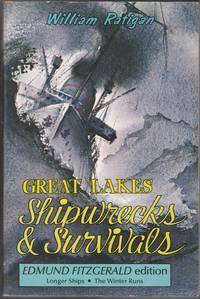 EDMUND FITZGERALD edition. Trade paperback. Used, with normal reading wear; internally clean and bright with a tight binding. William B. Eerdmans Publishing. Used - Good. Good condition. William B. Eerdmans Publishing, 1977-01-01. Paperback. Very Good. Very good paperback. Pages are clean and unmarked. Covers show very minor shelf wear. ; 100% Satisfaction Guaranteed! Ships same or next business day! EERDMANS, WILLIAM B., PUBLISHING COMPANY. GOOD CONDITION. TRADE PAPERBACK. William B. Eerdmans Publishing, 1977-01-01. Paperback. New. Str. Edmund Fitzgerald edition. 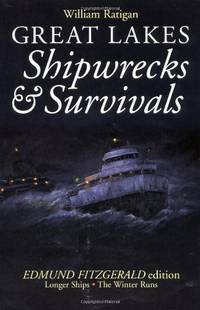 Second printing, third edition, October 1977. Interior is clean and unmarked. The soft-cover is tightly bound. However, the edges are moderately soiled and the cover edges show some light rubbing. 384pp Good+ condition.